Philadelphia, PA -- You couldn't blame the Flyers if they managed to finish this weekend with a win and a loss over two teams who have solid footing in the Eastern Conference playoff race. But after Saturday's 3-1 decision over Boston, and for the first time in a long time this season, things took a turn for the better. Kimmo Timonen tied the game with 9.5 seconds left in regulation and assisted on Ruslan Fedotenko's game-winner in overtime, as Philly rallied past the Washington Capitals, 5-4, to cap a thrilling Easter contest on Sunday night. "After we killed that 5-on-3, I felt we had some momentum, going. But then we got behind by two goals it was...not deflating but we needed to focus on pressing them and try to score more goals," Fedotenko said. "It was a great effort by everybody, especially from 'Bryzy' to give us a chance." Timonen had three assists for the Flyers, who have won two in a row and sit two points behind the New York Rangers and Islanders for the eighth spot in the Eastern Conference. Claude Giroux posted a goal and two assists for Philadelphia, which moved five points out of last place in the conference. Max Talbot and Matt Read also lit the lamp. Talbot left the game late in the second period with a lower-body injury which was either a skate cut or knee issue, but the nature of the issue was not specified. Ilya Bryzgalov matched Ron Hextall's 1988-89 streak of 19 consecutive starts, and made 25 saves for the victors. One piece missing from the stunning win was Jakub Voracek, who came to the defense of his captain, engaged Caps forward Steve Oleksy in a fight early in the third but was handed an instigator, major and 10-minute misconduct. "Jake (Voracek) dropping the gloves, you don’t see that every day. He’s just a great teammate and a great linemate. I think everyone in the room is lucky to have him as a teammate. He cares a lot for this team so that kind of got everyone going,” admitted Giroux. Marcus Johansson had a goal and an assist for the Capitals, who are four points behind the Winnipeg Jets for first place in the Southeast Division. Nicklas Backstrom, Mike Green and Alex Ovechkin also lit the lamp. Braden Holtby stopped 29-of-34 shots in defeat. Trailing by two, 4-2, Giroux got the Flyers within one at the 12:48 mark of the third period. His rising shot from the outer part of the left circle managed to sail through a screen and touch the net inside the far post only seconds into a holding call on Washington's Troy Brouwer. The hosts pulled Bryzgalov with nearly 90 seconds on the clock for the extra attacker and the comeback continued in the waning seconds. Giroux controlled a puck along the left boards and fed back to the point, where Timonen's one-timer might have changed direction off Matt Read's stick or a Capitals defender, and got past Holtby, sending the game into overtime. Fedotenko scored the game-winner 1:34 into overtime as Timonen set up him up with a perfect crossing pass -- which he slid between Holtby's pads -- to cap off a remarkable comeback. "We got a point there, but we obviously want two there," Capitals head coach Adam Oates said. "We let it get away." The Capitals drew first blood at the 4:29 mark of the first period. Jack Hillen's shot from the point was deflected out of the air by Backstrom. Talbot tied the game at the 10:26 mark. Timonen threw the puck off the back boards and Zac Rinaldo redirected the puck out in front, where the unlucky winger beat Holtby. Read gave the home team a 2-1 lead at the 14:55 mark. He was a stride ahead of the Capitals defense near the Washington blue line when a lead pass Giroux found his stick. He went in on a breakaway and beat Holtby to the right post. Minutes later, a third goal was wiped out due to a Wayne Simmonds penalty for goaltender interference, and when Giroux was sent off before play resumed, the visitors had a full two-minute 5-on-3. However, the Flyers stood up for Bryzgalov and prevented any meaningful offense. Green then turned the tables, scoring on a breakaway thanks to a Brooks Laich stretch pass with 1:18 left in the middle stanza to make it a 2-2 game. A turnover by Giroux in his own zone led to Washington's third goal. Johansson gathered the loose puck and beat Bryzgalov on a shot from the high slot, making 3-2 at the 6:22 mark of the third. Just 26 seconds later, Ovechkin's one-timer from the left circle on a power play gave the Capitals a two-goal cushion. “He is one of those guys who wants to make a difference,” said Flyers head coach Peter Laviolette in Giroux's defense. “I like the fact that he goes on the ice and asserts himself the way he does when you need to turn the game into a different direction." Notes: After going 26 games without scoring, Fedotenko has lit the lamp in consecutive games for the first time all year...The Flyers won two of the three games in the season series, including both in Philadelphia...Defenseman Kent Huskins made his Flyers debut after coming over in a trade with Detroit on Saturday...Voracek fought for the first time in his career...The Capitals went 2-for-7 on the power play, while the Flyers went 1-for-4 on the man advantage after converting on each of their previous five attempts over the last two games. Philadelphia, PA -- Despite a decimated defensive corps which was patched together with four players from the AHL, Ilya Bryzgalov managed to stop 33 shots and the Philadelphia Flyers put the brakes on a four-game skid with a 3-1 win over the Boston Bruins on Saturday at Wells Fargo Center. Mike Knuble, Matt Read and Ruslan Fedotenko each scored once to help the Flyers remain within striking distance of the final playoff berth. The Orange and Black produced the surprising victory in front of a near-record crowd of 19,997, matched only by the attendance in a 5-4 loss to the Penguins on March 7. "It was a huge two points for us," Read remarked. "Hopefully from here we can just play with confidence like we did tonight, keep on the same tracks and keep going." Nathan Horton scored the lone Boston goal, while Tuukka Rask allowed two goals on 21 shots for the Bruins, who have lost two straight and three of their last four. "I think we were working hard but just couldn't buy a goal and maybe gripping our sticks a little too much," Horton admitted. "Once they got the lead they were playing back. Like I said, we had our chances though." Boston racked up 12 shots in each of the first two frames, but the Bruins were unable to break through Bryzgalov until the opening stages of the final frame. Horton started the play by skating into the Philadelphia zone and sliding a cross-ice feed to the right point for Dennis Seidenberg. The Boston defenseman then fired a slapper that was knocked down in front and the loose puck ended up on the stick of Horton, who fired it home from in close to make it 2-1 at the five-minute mark. Bryzgalov was able to keep the Bruins off the board from there and after Rask left the net in favor of an extra attacker, Fedotenko buried an empty-netter with 58.4 seconds left to account for the final margin. The Flyers opened the scoring late in the first period after Boston defenseman Zdeno Chara was whistled for hooking at 13:50. On the ensuing man advantage, Knuble camped out in front -- where the Boston blueliner would have been patrolling -- before one-timing Brayden Schenn's centering feed past Rask to make it 1-0 at the 15:19 mark. The Flyers doubled their edge early in the second when Jakub Voracek skated into the zone and slid a cross-ice pass to the left circle for Read, who rifled a one-timer past Rask for a 2-0 advantage just 3:18 in. Notes: Boston had won four straight in the series and hadn't lost in regulation in Philadelphia since March 10, 2007...Philadelphia defenseman Oliver Lauridsen, recalled from Adirondack of the AHL on Friday, made his NHL debut and posted one shot in 17:12 of ice time...Fedotenko notched his first goal in 28 games, since his only other tally this season on Jan. 26...Boston went 0-for-2 on the power play, while Philadelphia finished 1-for-1...Just after the start of the contest, the Flyers announced the acquisition of defenseman Kent Huskins from the Detroit Red Wings for a conditional seventh-round pick in June's draft -- a transaction which may not even be completed, if Philadelphia does not re-sign Huskins before October 1. Voorhees, NJ -- Another day, another key player removed from the lineup. The Philadelphia Flyers placed defenseman Braydon Coburn on injured reserve and recalled defenseman Oliver Lauridsen from the American Hockey League. According to Flyers GM Paul Holmgren, Coburn is out indefinitely after suffering a separated left shoulder. He departed Thursday's 4-3 shootout loss to the New York Islanders in the second period and did not return. Lauridsen, 23, will see his first NHL action when the Orange and Black host Boston on Saturday. In 59 games with Adirondack, he has collected one goal and six points with 77 penalty minutes. The 6-foot-6, 220-pound native of Denmark has appeared in 126 games for the Phantoms, scoring four times and adding nine assists. He played for St. Cloud State of the WCHA from 2008-11. In other roster news, defenseman Andrej Meszaros -- who left Tuesday's loss to the New York Rangers with a recurrence of a left-shoulder injury originally suffered in late January -- will have surgery to repair that damage on April 2. It is expected to be a season-ending procedure. Meszaros has only seen action in 11 games this season, recording only two assists. He left Tuesday's home loss to the Rangers with the issue and hasn't played since. PHILADELPHIA - The Eagles have acquired journeyman defensive end Clifton Geathers from the Indianapolis Colts in exchange for fullback Stanley Havili. A traditional FB like Havili is not needed in a Chip Kelly offense while Geathers, who is 6-foot-7 and weighs 325 pounds, is the prototypical size for a 3-4 defensive end, a key component of the deal since Philadelphia is moving away from its traditional 4-3 look. Originally a sixth round selection of Cleveland in the 2010 draft, Geathers has spent time with the Browns, Dolphins, Seahawks, Cowboys and Colts in his three-year career, appearing in 15 total games. He played in eight games for Indianapolis in 2012, recording five tackles and a sack. Geathers starred collegiately at South Carolina, where he played in 36 career games and finished with 72 tackles, 12 tackles for a loss, six sacks and two forced fumbles. The 25-year-old Geathers comes from a football family as his brother, Robert, has played nine years as a defensive end with the Bengals. His father, Robert, Sr., also a defensive lineman, was a third round pick of the Buffalo Bills in 1981. In addition, his uncle, James "Jumpy" Geathers, enjoyed a 13-year NFL career, won two Super Bowls, and recorded 66 career sacks with the Saints (1984-89), Redskins (1990-93), Falcons (1994-95) and Broncos (1996). The Colts general manager, Ryan Grigson, was the Eagles director of player personnel before moving to Indy and had a hand in drafting Havili, who was a seventh round pick in 2011 out of Southern California. PHILADELPHIA - Welterweight Cornelius Whitlock has signed a promotional contract with the Philadelphia-based Banner Promotions. Whitlock will make his debut under his new management team on March 29 as part of ESPN’s Friday Night Fights undercard at the Turning Stone Resort Casino in Verona, New York. Whitlock of Landover, Maryland has a record of 1-0-1 with his victory coming by knockout of former amateur standout Shakur Jackson in the third round on January 31 in Staten Island, New York. The 29-year-old Whitlock turned pro on December 19, 2012 with a draw with Mikkel Lespierre in Lespierre’s hometown of New York. Whitlock, who competed in over 30 amateur fights and won Golden Gloves titles, has a slick and elusive style with quick hands and footwork and he displayed his explosive power in the win over Jackson. He is trained by Malcolm Lowery who sees big things for his pupil. 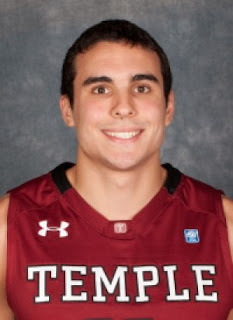 PHILADELPHIA -Temple University graduate student T.J. DiLeo has been selected by the Albert J. Carino Boys Basketball Club of South Jersey as its Major College Player of the Year. DiLeo, the son of Sixers general manager Tony DiLeo, will receive his award at the organization's annual Awards Banquet on Friday, April 5 at the Crowne Plaza Hotel in Cherry Hill. DiLeo, a native of Cinnaminson, NJ (Cinnaminson HS), was a reserve guard and Temple's top perimeter defender on the Owls' team that posted a 24-10 record and advanced to the third round of the NCAA Championship before falling to No. 1 seed Indiana, 58-52, on Sunday. The 6-foot-3 guard averaged 2.9 points, 1.9 rebounds and 19.1 minutes per game. He also dished 56 assists while committing just 14 turnovers for a team-best 4-to-1 assist-to-turnover ratio. Also standout student, DiLeo graduated in 3 1/2 years (Dec. '11) and was named to the 2012-13 Capital One Academic All-District team as well as the Atlantic 10 Conference all-Academic squad. Former Philadelphia Eagles quarterback Randall Cunningham turns 50 years old today. Plucked from UNLV in the second round of the 1985 draft, Cunningham set the hearts of Eagles fans aflame and set the rest of the football world on notice with his unique scrambling ability, escapeability, and penchant for turning broken plays into something spectacular. He earned his first career win in relief of Ron Jaworski, on September 22, 1985 at RFK Stadium against the Washington Redskins, a 19-6 Birds triumph, and until his last game with the franchise -- a 30-11 loss in Dallas in the NFC Divisional Round on January 7, 1996, etched his name forever in the history books. Cunningham threw for 22,877 yards in 12 seasons with Philadelphia, with 150 touchdowns and 105 interceptions on 1,874 completions. He set a still-standing franchise record for signal callers by totaling 4,482 yards and 32 TDs rushing. Only Michael Vick has rushed for more yards in NFL history than Ramblin' Randall. Still, many wonder what could have been if Cunningham had enjoyed the full complement of his years. 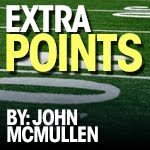 If only he hadn't been used as a tackling dummy as his offensive line allowed an NFL-record 104 sacks in his sophomore season, or if severe knee injuries hadn't totally wiped out his 1991 campaign or curtailed his 1993 season after only four games. Or if he had handled things better in 1995 as Rodney Peete permanently wrested the starting job. But we'll always have the memories and tons of highlights to remember an electrifying era in Eagles history and one of the greatest quarterbacks in league annals. Leading the 3-9-0 Eagles into LA Memorial Coliseum and spearheading a late comeback OT win against the Raiders in Buddy Ryan's first year as head coach. The infamous fake kneel-down in a 1987 post-strike home game against the Dallas Cowboys in revenge for Tom Landry's playing legit talent against the Eagles' replacements weeks before. Evading Carl Banks to throw a TD pass to Jimmie Giles on Monday Night Football against the Giants in October of 1988. His 92-yard punt, from inside his own end zone, to help the Eagles out of a jam in a December, 1989 contest at the Meadowlands which turned into a win over the Giants. The above-pictured leap towards the side of the end zone to cap a December, 1990 rout of the Green Bay Packers at the Vet. 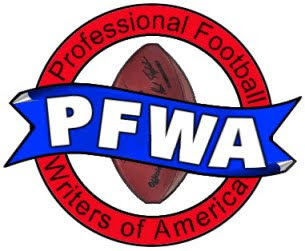 Leading the comeback in November of 1992 against the Giants, from a 20-6 deficit into a 47-34 win dubbed "Miracle of the Meadowlands II"
Throwing the game-winning touchdown to Calvin Williams in the final seconds of a September, 1993 home win against the Washington Redskins. Helping the Eagles bury the San Francisco 49ers in a 40-8 rout at Candlestick Park in October of 1994. VOORHEES, N.J. – Deja vu all over again. For the second time in this truncated season, Andrej Meszaros injured his left shoulder in a game against the New York Rangers. It was suffered in the closing minutes of yesterday’s 5-2 loss to the Rangers when he collided with an opposing player on a clearing attempt in his own zone. Flyers GM Paul Holmgren said Meszaros will be out of the lineup indefinitely, and has been placed on injured reserve to facilitate the call-up of defenseman Erik Gustafsson from Adirondack. Meszaros already missed more than a month this season with a similar injury, also suffered against the Rangers in the fourth game of the season. It has been a trying year for the Flyers defenseman -- who's bad luck on the health front began with a back injury that required surgery last March, followed by a ruptured Achilles tendon that required surgery in July and a pair of shoulder injuries this season. In its April issue, GQ catches up with MLB phenom and South Jersey native Mike Trout at his parents’ house. GQ’s Dan Riley talks with Trout about growing up and playing baseball in the northeast, his first season in California, and the huge expectations surrounding his second year in the big leagues. …on whether or not he's considered moving to California from New Jersey: "I've considered it," he says. "But the first house I buy will be right here." The end of the Jack Parker era on the eastern end of Commonwealth Avenue lasted less than 72 hours. On Tuesday morning, three days after Boston University dropped a 1-0 decision to UMass-Lowell in the Hockey East Final in Boston, the Terriers inaugurated a new era, introducing 46-year-old David Quinn to succeed Parker behind the BU bench. "I want to thank David Quinn for providing us with every reason to make this choice in naming him the 11th head coach of Boston University men's ice hockey," said Mike Lynch, director of athletics. "He's got diversity of experiences, a great track record of success, and he's committed to the core values of our athletic program -- excellence in athletics, academics and commitment to community. There are high expectations for this job...and David bring all his experience to achieve them." Quinn, a native of Cranston, Rhode Island, played for Parker from 1984-87. From there, the former first-round draft choice (No. 13 overall by the Minnesota North Stars in 1984) was an assistant coach at Northeastern for a year, then held the same position for the University of Nebraska-Omaha from 1999-2002 and came home to serve under Parker as an associate coach from 2004-09, the last time the Terriers won the NCAA title. He also served three seasons as head coach with the Lake Erie Monsters in the American Hockey League through last Spring. 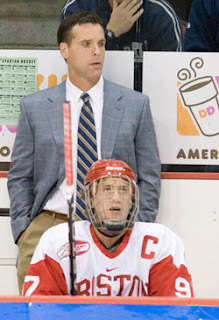 "BU is a premier college hockey program, but for me it was the premier job," Quinn stated. "I've been very fortunate in my coaching career and in hockey in general. I had the great opportunity to come back for five years and work with Jack as an assistant coach culminating in a national title. When this job opened up, I couldn't tell you how excited I was, thinking about the opportunity to come back. One thing that struck me after four years in professional hockey was how much I missed the college experience. If it was just about winning and losing, I'd have stayed in pro hockey." There is one catch, however. Quinn is still an assistant coach with the Colorado Avalanche, whose season is very much still in full swing. Reports from several Boston-area sources indicated Quinn will finish out the NHL season before jumping in full force to assume his new duties with his alma mater. "I want to thank Coach Parker for 40 years of sustained excellence," Lynch stated. "He contributed mightily to our athletics brand as well as to the development of the university. Today marks a new beginning, drawing on that past and the rock-solid foundation that was cast by Coach Parker, we're aiming to bring new heights to Boston University." Parker exited with 897 career victories, which stands as an all-time record for one man guiding one program in NCAA hockey history. But now it's a different man, one who is no less eager to get started and preserve the legacy Parker created. "I wish tomorrow was October 1st for our very first practice," was how the new coach ended his remarks. Toronto, ON – Scott Laughton has caught plenty of notice across the continent as one of the best all-around players in the Ontario Hockey League this season. On Monday, the OHL honored Laughton, of the Oshawa Generals, with the Player of the Week award for the first week of the playoffs, after he totaled six points in two games (3G, 3A), with a plus-4 rating. Laughton helped the Generals grab a 2-0 start in their first round Eastern Conference Quarterfinals against the Niagara IceDogs with a pair of three-point games. He opened the series by scoring twice including the game-winner and an empty-net goal while adding an assist as third star of the 5-2 win on Friday night. In Game 2 of the series on Sunday, Laughton opened the scoring early in the first period then added two helpers including an assist on Scott Sabourin’s second period game-winner as part of the 4-3 victory. The 18-year-old from Oakville, Ontario recorded a career high 23 goals and 33 assists for 56 points in 49 games playing in his third OHL season with the Generals. A first-round pick of the Philadelphia Flyers last June, Laughton made his NHL debut this season and played in five games with the parent club before being returned to juniors. CHESTER, Pa - The Philadelphia Union have acquired veteran Brazilian international José Kléberson on loan from Esporte Clube Bahia. Additionally, the Union have reached a contract termination by mutual consent with Freddy Adu, who has subsequently signed with Bahia. Kléberson, a former FIFA World-Cup Champion, will join the team pending reception of his U.S. P-1 Visa, International Transfer Certificate (ITC) and a medical examination and will occupy a Designated Player and international roster spot. Per club and MLS policies, terms of the deal were not disclosed. Kléberson, 33, has seen extensive success on the international level, featuring on Brazil’s winning teams in the 2002 FIFA World Cup, 2004 Copa América and 2009 FIFA Confederations Cup, while also being selected to the 2010 FIFA World Cup. For his career, Kléberson has appeared in 32 matches for his native Brazil. As a 23-year-old, Kléberson gained global recognition as he helped lead Brazil to a world-record fifth FIFA World Cup title, starting in the 2002 FIFA World Cup Final against Germany and assisting in the 79th minute on Ronaldo’s second goal to help his country clinch a 2-0 victory. His performance that summer led to Manchester United Manager Sir Alex Ferguson signing the Brazilian on a permanent transfer to the English club. In addition to his success with Brazil’s National Team, the midfielder has spent time playing in some of the top leagues around the world. The Brazilian international has had stints in the English Premier League, Turkish Süper Lig and Brazilian Campeonato Brasileiro Série A, while also appearing in UEFA Champions League and UEFA Europa League matches. Kléberson contributed to squads that were winners of the FA Community Shield (Manchester United, 2003), FA Cup (Manchester United, 2004), Turkish Super Cup (Besiktas, 2006) and Turkish Cup (Besiktas, 2006, 2007) and of Brazilian Série A (Atlético Paranaense, 2007; Flamengo 2009). Adu signed with the Union in August of 2011 under former head coach Peter Nowak. He made 35 appearances for the Union, scoring seven times and assisting twice. “We would like to thank Freddy Adu for his service to the Union over the past two years and wish him the best of luck as he continues his career in Brazil,” said Hackworth. The plot thickens regarding potential trades involving veteran players, as the Philadelphia Flyers announced on Monday that struggling forward Danny Briere is out indefinitely with a concussion. The 35-year-old missed Sunday's 2-1 overtime loss against the Pittsburgh Penguins after suffering an injury during a Saturday practice session when he hit the boards hard during a one-on-one drill. Briere has failed to post a goal since scoring twice on Feb. 18 on Long Island, a 13-game drought, and has totaled only five goals and 13 points in 26 games. He endured a 23-game dry spell from January through mid-March a season ago. With two years remaining on the free-agent deal he signed here in the Summer of 2007, Briere was the most likely candidate to waive a no-trade clause and help the Flyers move forward with their roster given the lowered salary-cap next season. He is making $7 million this year with a $6.5 mil cap hit, and is due $3 million next year and $2 million in 2014-15. But with the absence coming just nine days before the trade deadline, Briere's health becomes a wild-card in the make-or-break dealings for the club until April 3 passes. There is an open spot on the roster in the top six forwards, but another name to take Briere's place if he's out in the long term can only realistically come in a trade which involves another body going out. Also, defenseman Nicklas Grossmann was pronounced day-to-day with his upper-body injury that caused his absence on Sunday. This news is not promising, as the Flyers begin a crucial stretch in the postseason hunt with the first of five straight home games on Tuesday against the New York Rangers. The Flyers rank 13th in the Eastern Conference, five points out of the final playoff spot. Later on Monday, the club announced that it recalled forward Tye McGinn from the Adirondack Phantoms. McGinn had been sidelined by a fractured orbital bone around his right eye suffered in a fight against Mike Brown of the Maple Leafs on February 25. Since his recovery and assignment to Glens Falls, he's totaled eight points in four games. After seeing Chester once already this month in the Pennsylvania District 1 championship game, the Aces made their adjustments and came out ready to play Saturday night in the PIAA AAAA (large schools) final. In years past, the Chester Clippers has almost owned the state tournament, winning three of the last five championship games. The most recent came last year when they rolled over Lower Merion, 59-33, to win their second in a row. Lower Merion wanted pay back and understandably so. The stage was perfect for one of the best player match ups all season in the state of Pennsylvania: 6-foot-7 Syracuse commit BJ Johnson of Lower Merion versus 6-foot-7 Arizona commit Rondae Jefferson of Chester. As former teammates on the AAU circuit with Team Final this past summer, the game meant a little bit more to both Johnson and Jefferson. In the first quarter, Chester jumped out to a small early lead with good pressure and ball movement as well as an impressive poster dunk by Jefferson. Lower Merion responded effectively with two BJ Johnson threes from the right wing to knot the game up at 6-6. For the remainder of the quarter, the two Keystone State juggernauts went back and forth. At the conclusion of the first, the score was 14-12, Chester’s lead. Jefferson accounted for 12 of Chester’s 14 first quarter points with six points of his own to go along with three assists. Johnson netted eight points himself in the first, keeping the game close. The huge, raucous Lower Merion student section made the Giant Center in Hershey, PA feel like a home court for the Aces. Their size and noise volume filled the arena and gave Lower Merion momentum in the second quarter. The Lower Merion Aces made their move in the second quarter when Baird Howland entered the game and played great off the bench, hitting a big three and dishing an assist to Johnson for a fast break dunk and the underdog’s first lead. The lead changed back and forth until the Aces made a 10-0 run to end the half, giving them a 28-20 edge. Foul trouble for Chester center Richard Granberry and an injury to senior guard Darius Robinson late in the first turned out to be problems for the Clippers in the long run. At the start of the third quarter, Chester fought back and cut the lead to four points after some seemingly effective half time adjustments. Richard Granberry’s re-entry also gave the Clippers a lift and shifted the momentum to Chester when he grabbed some key rebounds and finished a lay-up with a foul over 6-foot-8 Lower Merion center Yohanny Dalembert. But Lower Merion responded with another run led by solid play from guards Jaquan Johnson and Raheem Hall plus forward Justin McFadden. Howland contributed another important three pointer, which gave the Aces a 43-36 lead at the end of the third. The final eight minutes was when Lower Merion asserted themselves as the best team in the state of Pennsylvania and the Aces’ brilliance came in waves. The first flash was a dish from Jaquan Johnson to Dalembert for a big dunk to put Lower Merion up by double digits. Chester’s crowd came to life in an effort to get the team going and the Clippers turned up the pressure to chip away at the lead. The Chester crowd was silenced, though, when Dalembert (cousin of the NBA’s Sam) put the exclamation point on the game with another thunderous throw-down following a masterful up and under move in the post. The Aces then coasted to their seventh state title in school history. The most came in 2006 and there was another 10 years earlier when a guy by the name of Kobe Bryant suited up for Lower Merion. BJ Johnson, the unquestionable star of the game, had struggled a bit in the past losses against Chester but more than made up for it last night putting up 22 points and 11 rebounds. He’ll be suiting up in Orange next year for Syracuse University. Rondae Jefferson was just of 14 from the floor but was a force throughout tallying 12 points, 18 rebounds, 5 assists, and 2 blocks. He’ll be taking his talents to the University of Arizona next year. We’re sure to be see both of them again during the month of March in years to come. 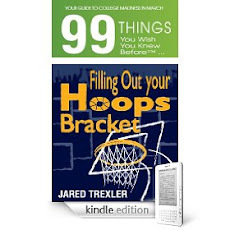 (Mike Griffith is a high school basketball player for West Chester (PA) Henderson and sports editor of the school newspaper/website. 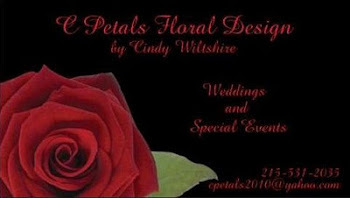 He also contributes to Patch websites and his personal blog is at www.gottaluvthegame.wordpress.com). PHILADELPHIA – The Eagles have signed one of the league’s most accomplished punters in former Houston Texan Donnie Jones, a two-time All-Pro selection. Jones agreed to terms on a one-year contract and replaces fellow veteran Mat McBriar, who was released. A veteran of nine NFL seasons with the Houston Texans (2012), St. Louis Rams (2007-11), Miami Dolphins (2005-06) and Seattle Seahawks (2004), Jones (6-foor-2, 221 pounds) ranks fifth in NFL history in both gross (45.6) and net punting average (39.0). A two-time, All-Pro selection with St. Louis from 2008-09, the 32-year-old Jones holds Rams franchise records in punts, gross average and net average. Jones is one of seven players in NFL history to record a 50.0 gross average in a single season, accomplishing that feat in 2008. Originally a seventh round draft choice of the Seahawks in 2004, Jones has played in 135 career games and recorded 736 punts, including 226 downed inside the 20-yard line. In his lone season with the Texans in 2012, Jones set team punting records with a gross average of 47.1 and a net of 40.5. He also recorded a franchise-best 54.2 yards per punt against the Denver Broncos on September 23. McBriar played in 13 games with the Eagles in 2012 and averaged 46.5 yards on 55 punts, including 13 downed inside the 20-yard line. Chester, Pa.– The Philadelphia Union have loaned three players to the team’s official USL PRO affiliate, the Harrisburg City Islanders. Forward Cristhian Hernandez and midfielders Greg Jordan and Jimmy McLaughlin will join the City Islanders Monday ahead of their USL PRO season-opening match on April 27. The Union will have the option to recall any of the three players during the loan period. Hernandez, 19, signed with the Union on March 5, 2012 as the club’s third-ever Homegrown Player. In 2011, he was named the U-17/18 Development Academy Player of the Year by U.S. Soccer and honored as a NJ Star Ledger First Team All-Prep player, scoring 16 goals for St. Benedicts Prep and leading the school to its seventh national championship. As a Union Academy player in 2011, Hernandez scored the game winner in a 1-0 friendly victory over Everton during his first unofficial appearance for the team. The Mexico native made his MLS debut last year, appearing in two games for a total of 26 minutes. Jordan, 22, was selected 32nd overall by the Union last year in the 2012 MLS SuperDraft. The former NSCAA All-American starred at Creighton University from 2008 to 2011, helping the Blue Jays to a NCAA semifinal appearance in his last year with the team. After suffering a torn ACL in his sophomore season, the 6-foot Illinois native started in 42 matches over the following two seasons. Since joining the Union, Jordan has played in multiple Reserve League matches as well as a friendly against Aston Villa last July. Last year, he also spent time with Harrisburg on loan. McLaughlin, 19, was signed by the Union on December 11, 2011 as the club’s second Homegrown Player. In his first and only season with Colgate University, he started all 22 games, a school record for a first-year player. A Union Academy graduate, McLaughlin has seen action in various Reserve League matches and with the First Team in exhibition matches against Reading United, Everton, Real Madrid, Schalke 04 and Aston Villa. He made his professional debut last May during a 3-0 victory over the Rochester Rhinos in the Lamar Hunt U.S. Open Cup and his MLS debut last October, coming on as a 73rd-minute sub against Sporting KC. McLaughlin also spent a portion of the 2012 season on loan with Harrisburg. Quinnipiac University, regular-season champions in the ECAC, was selected as the top overall seed as the field of 16 teams was announced for the 2013 NCAA men's ice hockey tournament on Sunday night. The Bobcats (27-7-5), who spent multiple weeks atop the national rankings in the second half of the campaign, will open up as the top program in the East Region at Providence, RI. Despite a sudden exit in the ECAC semifinals to Yale, the Connecticut-based school garnered enough notice to gain the lofty honor. Hockey East regular-season and playoff titlist UMass-Lowell (26-10-2) was awarded top billing in the East Region, playing out of Manchester, NH; Minnesota, (26-8-5) which remained atop the rankings, was named the premier club in the West Region from Grand Rapids, MI; Notre Dame (25-12-3) -- the final champion in the history of the CCHA, snagged the Midwest Region's first slot and will host in Toledo, OH. Quinnipiac begins its quest for a first NCAA championship by entertaining Canisius on Saturday, while defending champion Boston College will square off against 2012 national semifinalist Union College later in the evening. In that game, South Jersey's own and Hobey Baker finalist Johnny Gaudreau will face Flyers 2012 draftee. defenseman Shayne Gostisbehere. On Friday, the UMass-Lowell River Hawks tussle with WCHA playoff champion Wisconsin, while a pair of at-large selections, New Hampshire and Denver, complete the regional matchups. The Fighting Irish of Notre Dame also open up on Friday, taking on St. Cloud State. Miami-Ohio -- the 2009 runner-up -- was paired with Minnesota State. The final Friday contests find Minnesota battling Yale and soon-to-be NCHC bellwether North Dakota playing Niagara. One noticeable absence in the field of 16 was the University of Michigan, which was squeezed out of national postseason play for the first time in 23 years after losing to Notre Dame. The Frozen Four will take place at CONSOL Energy Center in Pittsburgh, with the national semifinals on April 11 and the championship contested two days later. Pittsburgh, PA -- Tyler Kennedy's marker with 2:27 remaining in overtime sent the Pittsburgh Penguins to their 12th straight win, courtesy of a 2-1 decision over Philadelphia at CONSOL Energy Center. Kennedy cranked one home from the left circle, beating a screened Ilya Bryzgalov over his shoulder to the near post for the game winner, capping a rally from a late one-goal deficit. Sidney Crosby also scored for the Penguins, who hung tough and did not let their in-state rivals play the role of streak buster for the second time in a little more than a year. Pittsburgh had won 11 in a row until a March 18, 2012 date in Philadelphia, but the Flyers' Scott Hartnell put an end to that run on his tally with less than a second remaining in OT to give the Flyers a 3-2 victory. Marc-Andre Fleury made 27 saves for the Eastern Conference leaders, who announced prior to the game the acquisition of veteran forward Brenden Morrow from the Dallas Stars. Three of the Pens' last four wins have come by one goal but that doesn't take away from this run, which is the longest in the NHL this season. Chicago won 11 straight en route to going 24 games from the start of the season with at least one point. Claude Giroux tallied and Ilya Bryzgalov stopped 33 shots for the Flyers, who have lost six of their last eight outings but managed to pick up a point for the first time in those defeats. One bright spot in the setback, was that Giroux finished 17-for-28 (61 percent) on faceoffs, including 6-for-9 (67 percent) against Crosby. sat for hooking Kunitz on the chance. Crosby evened the game 31 seconds later on a one-timer from the right circle off a dish from Paul Martin, but the visitors were able to prevent further damage during the following 5-on-4. Fleury made a trio of saves -- one on Simmonds and two on Andrej Meszaros at the right post -- early in overtime to prolong the contest. In a tight-checking first period, Fleury stopped six shots and Bryzgalov halted all nine he faced. The Flyers finally snapped a scoreless tie in the late stages of a power play with 5:51 remaining in the second. Giroux carried into the Pittsburgh zone on the left wing, and though his initial shot was blocked by Tanner Glass, the rebound came back to the captain for a second successful chance. Bryzgalov made a huge stop with 8:13 left in regulation. A failed Philly clearing attempt skipped back into the Penguins' attack zone, caromed off the stick of Flyers defenseman Luke Schenn and right to Kunitz, but his chop out of the air from atop the crease was trapped. Notes: Philadelphia fell to 8-2-1 all-time in this arena, and 6-1-1 in the regular season ... Pittsburgh has scored five goals when enjoying a 5-on-3 power play this year ... The Flyers played without forward Danny Briere and defenseman Nicklas Grossmann, both listed as day-to-day with an upper-body injury ... Harry Zolnierczyk returned from a four-game suspension to take Briere's slot and Kurtis Foster subbed for Grossmann ... The Penguins did not have the services of either forward Evgeni Malkin and defenseman Kris Letang ... Philly hasn't won a game in overtime in Pittsburgh since a 4-3 result on Apr. 5, 1986 ... Morrow and a third-round pick in 2013 came to the Steel City for defense prospect Joe Morrow and a fifth-round selection in the upcoming June draft ... The Penguins' triumph was played in front of an arena-record 18,662 patrons. Dayton, OH -- They can't call him "One and Done-phy" any more, but that doesn't make Sunday afternoon's season-ending loss any less bitter. Senior sensation Khalif Wyatt outdueled Victor Oladipo, but Indiana had the last laugh over the Temple Owls, using a late surge to post a 58-52 decision in third-round action of the East Region. "It doesn't doanything for me, not right now at least," Wyatt said of putting together his finest performance on a national stage. "They're a really good team. They played really hard. We competed really hard. We battled. A couple plays here and there, we win. It was just a tough-battled game, and they came out on top." Wyatt led all players with 31 points, but Oladipo hit a three-pointer with 15 seconds to play, the last of his team-high 16 points, to help his top-seeded program advance to the Sweet 16. Will Sheehey added 10 points and Christian Watford totaled nine with eight boards in the narrow victory. Anthony Lee poured in 10 points for the Owls (24-10), who got past NC State on Friday but were doomed by poor shooting down the stretch. Rahlir Hollis- Jefferson contributed eight points, seven rebounds in defeat. "Certainly, I thanked them for all the time and effort they put in, putting up with my BS," Temple head coach Fran Dunphy said of his veteran leaders. "They're great guys, and they will be successful people as they move forward. Now we have to say good-bye to them, and the cocoon has kind of burst here, their comfort level, and they're out there on their own." Temple hasn't won more than one game in the NCAA Tournament since John Chaney led the program to the Elite Eight in 2001. Lee's bucket from right under the basket off a dish from Will Cummings made it 50-46 for Temple as four minutes remained in regulation, but that was the high point for the upset-hopeful Owls. A Jordan Hulls bucket closed the gap to 52-50 with 2:56 to play, and after Watford stuffed Wyatt in the lane on the next Temple possession, Zeller sank two from the line for a 52-52 deadlock inside of two minutes left. Wyatt fired away from long distance and missed, and Oladipo made 1-of-2 free throws to give the Hoosiers their first lead of the second half at 53-52 with 1:19 left. "That was a huge, huge play. It was coming at the end of the shot clock, too," Dunphy said. "No question about it." Hollis-Jefferson's airball on a short jumper fell out of bounds and gave the ball back to Indiana, and Oladipo hit the dagger, a long triple from the top of the key to make it 56-52. Wyatt again failed to find the hoop from beyond the arc, and Watford iced the game with his two free shots. "I was just being aggressive. My teammates kept (getting the ball) to me, but the last six minutes they just made it really hard for me to catch the ball," Wyatt said of Indiana's late-game adjustments. Temple missed seven of its first eight shots, but Indiana's poor shooting early kept the contest close in the opening minutes. The Hoosiers gained separation on a 12-4 run for a 20-11 spread with just under nine minutes played thanks to a Watford jumper, but the Owls struck back with nine straight, evening the score on a Wyatt triple with 6:12 remaining. Hollis-Jefferson ended the half with a bucket and Temple hit the break up 29-26. Wyatt began the second half with a basket to give the Owls a five-point edge, and the nine-seed maintained that distance until back-to-back makes from Oladipo pulled the Hoosiers within 33-32 less than 5 1/2 minutes in. Wyatt's runner from the baseline -- his first points since the initial shot of the half -- and a fadeaway jumper following a Zeller turnover provided a 41-35 edge for Temple just shy of the midway point. But Hulls and Sheehey hit triples around a Lee bucket to draw the Hoosiers even, 43-43, with 6:49 on the clock, before Wyatt countered on the other end on the next trip down the floor. Notes: Indiana trailed at the half for just the fifth time all season, running its record to 3-2 in such games...Wyatt, who finished 12-of-24 from the field, made only 3-of-12 attempts from long range. He was 8-of-14 for 20 points in the first half alone and his 31 points were the most for any Temple player in the premier March tourney since Mark Macon had 31 in a 75-72 loss to North Carolina in an East Regional Final on March 25, 1991...The Owls fell to 0-9 all-time in the NCAA Tournament when facing No. 1 seeds...Hulls, who played just eight minutes in the first half thanks to a a shoulder injury, set a new school record by appearing in his 134th game with the Hoosiers...Zeller committed a game-high six of Indiana's 12 turnovers...Scootie Randall had just three points in 38 minutes, but pulled down a game-high nine rebounds for the Owls. PHOENIX – The Philadelphia Soul mounted a late fourth-quarter comeback, but were not able to overcome four turnovers and fell to the Arizona Rattlers in a re-match of ArenaBowl XXV, 66-52, in front of 8,524 fans at the US Airways Center on Saturday night. Soul QB Dan Raudabaugh finished by connecting on 22-of-34 passes for 323 yards, five touchdowns and one interception in defeat. AFL Playmaker of the Game, Tiger Jones, led Philadelphia's receiver with nine receptions for 169 yards and three touchdowns. Alvance Robinson had five catches for 97 yards receiving and 161 return yards, while Andrae Thurman added five receptions for 38 yards and Larry Brackins had three receptions for 19 yards. Derrick Ross finished with 18 rushing yards and three rushing touchdowns, but had two turnovers on fumbles inside the Rattlers end of the field. Defensively, LaRico Stevenson had 5.5 total tackles and two pass breakups, Brandon Perkins added 4.5 total tackles, including a sack and Rayshaun Kizer added 3.5 total tackles and one pass breakup. Offensive Player of the Game, Arizona’s QB Nick Davila connected 23-of-34 passes for 304 yards, seven touchdowns and no interceptions. WR Maurice Purify had 10 receptions for 141 yards and three touchdowns and Jared Perry had six receptions for 91 yards and two touchdowns in the victory. The Soul (0-1) opened the scoring when Raudabaugh found Jones on a 33-yard, fourth-down scoring strike to give the Soul a 7-0 lead. Arizona (1-0) answered when Davila found Jared Perry on a 22- yard touchdown pass to even the score at 7-7. Raudabaugh connected with Jones again on a 23-yard scoring connection, but a missed extra point made the score, 13-7. Davila and Purify hooked up on a 33-yard scoring play and the extra point gave the Rattlers the 14-13 lead with 3:34 remaining in the first. Raudabaugh then found Robinson for a 23-yard touchdown and a 19-14 lead to end the first quarter. The Rattlers opened the second quarter when Davila found Kerry Reed on a four-yard touchdown pass to take a 21-19 lead. The Soul answered with Derrick Ross carried a group of Rattlers into the end zone for a five-yard rushing touchdown and regain a 25-21 lead. Arizona got a one-yard touchdown run from Davila and a 28-yard touchdown connection from Davila to Purify, while Raudabaugh found Alvance Robinson on a 26-yard score to end the half with the Rattlers leading 35-32. Arizona open the third quarter with a 26-yard touchdown pass from Davila to Perry. After a Ross fumble gave the ball back to Arizona, the Soul defense led by Brandon Perkins held the Rattlers to a FG and a 45-32 deficit. Ross got the Soul back on the scoreboard when he plunged in for a one-yard score and narrowed the lead to 45-39 with 6:58 remaining in the third quarter. Arizona answered when Davila found Reed on a 13-yard touchdown to push the lead to 52-39 to end third quarter scoring. In the fourth quarter, with the Soul knocking on the doorstep, Arizona’s Marcus Pittman stripped Ross and returned the fumble 44 yards for the score and a 59-39 lead. The Soul got a third rushing touchdown from Ross, recovered an on-side kick and a passing touchdown to Jones to mount a late comeback and narrow the score to 59-52, but the Rattlers held on for a 66-52 victory. The Soul have a bye week in Week 2, but will travel to face former coach Doug Plank and the Orlando Predators Saturday, April 6 at 7:30 p.m. ET at the Amway Arena. Cutter’s Catch of the Game: Arizona’s Kerry Reed’s 13-yard touchdown catch in the third quarter. Spalding Highlight of the Game: Arizona’s Marcus Pittman’s 44-yard fumble recovery and return for a touchdown in the fourth quarter. Chester, Pa. – The Philadelphia Union improved their all-time international friendly record at PPL Park to 5-1 as the club defeated Mexican side Pumas UNAM 1-0, courtesy of a goal from midfielder Michael Farfan in the 68th minute. The goal was sparked by a move from Sebastien Le Toux to elude a pair of Pumas defenders; Le Toux played a square ball into forward Aaron Wheeler, playing in his debut match with the Union, who tapped the ball ahead to Farfan for his first goal of the season. With the win, the Union improved to 5-1 all-time in international friendlies at PPL Park and 2-0 against Mexican clubs, with a 1-0 win over Chivas de Guadalajara in 2011. Before the goal, it was a back and forth affair that featured a few new faces for the Union. In addition to Wheeler making his first appearance of the season coming in as a halftime substitution, supplemental draft pick Leo Fernandes played a full match. It was a game where the cautions were aplenty on both sides, with referee Daniel Fitzgerald going into his pocket six times, three apiece for each team. For much of the match, Chris Konopka filled in expertly for customary goalkeeper Zac MacMath, making four saves to preserve the shutout. Philadelphia Union return to MLS play on next Saturday, March 30 with a nationally televised match against New York at Red Bull Arena (3:30 p.m., NBC Sports Network). PHILADELPHIA – The Philadelphia Soul aim to continue their season-opening win streak in an Arena Bowl rematch against the Arizona Rattlers on Saturday. The two teams last battled it out in last season’s ArenaBowl XXV as Arizona defeated Philadelphia, 72-54. The Soul, on a six-game season-opener win streak, fly into Phoenix with new head coach Clint Dolezel. Dolezel takes over Philadelphia for his first time after having been the assistant head coach of the team last year. He is 11-7 (11-8) in his lone season as a head coach in Dallas in 2011. Kevin Guy leads Arizona with a 48-24 record (53-27 overall) coming off his first championship in two ArenaBowl appearances as Arizona’s head coach. Guy has a season-opening record of 3-1 with Arizona. Arizona currently leads the series between the two teams, 2-0. 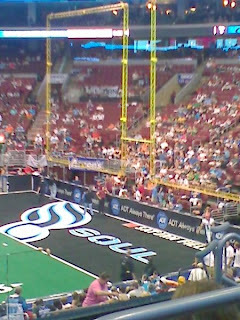 Aside from the championship last season, the Soul lost to Arizona 55-54 on June 25, 2011. The 2013 season-opener is promising as last season’s No.1 (68.2) and No. 4 (62.1) scoring offenses match-up. Philadelphia brought back the offensive weapons that led them to being the best scoring offense in the league. FB Derrick Ross looks to continue his record-breaking career against a defense that ranked No. 2 (13.4) last season in stopping the run. In the last match-up, he was shut down to four rushes, primarily because of the Soul’s deficit early in the game. During the ArenaBowl, WR Tiger Jones was invited to attend the NFL’s Philadelphia Eagles training camp, leaving QB Dan Raudabaugh without his top target against the No. 15 (293.4) pass defense. Raudabaugh still threw for seven touchdowns in the loss. Arizona’s QB Nick Davila, WR Maurice Purify, and DB Arkeith Brown are returning to the team for the 2013 season. In the ArenaBowl, Davila won Offensive Player of the Game and Brown won Defensive Player of the Game. In the last match-up, Davila beat the Soul secondary for nine touchdowns and zero interceptions. The last game came down to turnovers. Philadelphia led the league in turnover margin (+23) and Arizona was No. 4 (+10). They were able to force Philadelphia into four turnovers, as Philadelphia was unable to force a single turnover. This week’s match-up will come down to which defense can stop the high-scoring offense. Both teams offset each other, as last season Arizona, No. 2 run defense (13.4) matched up against the No. 1 run offense (44.2). The Rattlers No. 3 (312.0) pass offense matched up against the No. 1 (94.8) pass defense efficiency. Both teams are talented; it will come to which side of the ball breaks first. While the Hobey Baker Memorial Award committee takes 10 initial finalists and then whittles that list down to three with the intention of naming the top collegiate player on the eve of the NCAA championship, The Phanatic will do things a bit differently. With apologies to the WCHA, we've got your Final Five picks for the prestigious trophy, awarded every year since 1981 to honor a Princeton University grad and World War I casualty who is the namesake of the Tigers' home rink. The senior netminder has been the backbone of a program which has risen from the ashes of the MAAC, through the gauntlet of the ECAC and into the #1 spot in the country. Hartzell carries a 26-5-5 record, 1.50 goals-against average, .935 save percentage and four shutouts. The Bobcats are tops in total defense, yielding a stingy 1.59 per outing. Named both the best player and goaltender in the ECAC this season, it's no surprise that the native of suburban Minneapolis also made it on the list of 10 Hobey finalists. 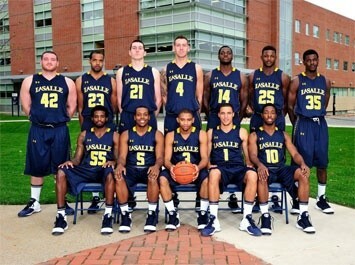 The Bobcats take on Brown later Friday at Boardwalk Hall in the conference semifinals. No matter what happens, we'll be seeing Hartzell on the national stage through either an automatic bid for winning it all or through an at-large selection. A junior winger, Walters has put together one of the quietest campaigns for a top player in all of Division I. Entering the weekend, he leads all players with 52 points (22G, 30A) in 39 games. He's not in the top three in any of the major offensive categories, but so what? By leading his school in goals, assists and points, he kept a veteran Mavericks squad in the thick of the conference title race until their loss last weekend to Minnesota State. The smallish sophomore has racked up 20 goals and 49 points in only 33 games for the defending champion Eagles, good enough for fifth in the nation. He enters the Hockey East championship weekend with the most points-per-game in America at 1.48, thanks to his stint with Team USA's Gold Medal winning junior squad which took him away from The Heights over the holidays. Gaudreau kicked off the thick of the postseason by being named Player of the Year for all of Hockey East, along with an obvious First Team All-Star selection. BC's path to defending its crown doesn't get easier, as it plays BU in the semifinals on Friday, and if there's a win in the offing, must face either Providence or surprising regular-season champion UMass-Lowell in the finals at TD Garden on Saturday. A native of Finland and a junior, Haula has already reached his career high in points with 49 (16G, 33A) in eight fewer games than he needed to reach the mark in his sophomore campaign. His 33 assists rank second in the country, and the 5-foot-11, 190-pounder who plays bigger than his size is second to Gaudreau in PPG at 1.40. Minnesota ranks best in all the land, clicking at 3.61 goals per contest, and Haula was a key part of a program which stayed in the top three for most of the season. Still the top team in the country, the Gophers are sitting pretty in the Final Five, coming off a sweep of Bemidji State to gain the semifinals, where they face Colorado College tonight. The Saints didn't the world on fire this season, but the tiny school out of Canton, New York boasted a forward line with plenty of punch. The junior winger was the top scorer for the program, striking for a national-high 28 goals and placing second to Walters with 51 points. St. Lawrence finished sixth in the ECAC and had their season end last weekend in a two-game sweep by Yale in the quarterfinals, but boasted the fourth best offense in the conference thanks to Carey and new Philadelphia Flyers signee Kyle Flanagan. 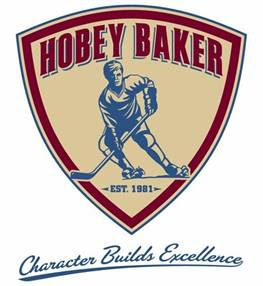 Make sure to check out the official Hobey site for its initial 10 finalists. Let the debate begin. PHILADELPHIA – Ten different Temple football players, as well as six recent alumni and three other local players, were evaluated on Thursday during Temple football’s annual Pro Timing Day. Scouts from 17 different NFL teams, including the Eagles, timed and evaluated the Owls for the upcoming NFL Draft. Participating from Temple were: RB Matt Brown, DB Vaughn Carraway, DL Marcus Green, RB Montel Harris, DB Maurice Jones, PK/P Brandon McManus, WR Darryl Shine, LB Ahkeem Smith, OL Martin Wallace, and DL John Youboty. Recent alums included DB Kee-ayre Griffin, WR C.J. Hammond, LB Amara Kamara, DB Deonte Parker, QB Chester Stewart, and LB Quinten White. Local players taking part were WR Dan DePalma (West Chester), DE Timothy Green (Lincoln), and WR Norman White (Villanova). Dayton, OH -- Tyrone Garland led four players in double figures with 22 points on 9-of-11 from the field, as La Salle used a hot- shooting performance to dispatch Boise State, 80-71, in first-round action of the NCAA Tournament on Wednesday. "It's an unbelievable feeling," Garland said. "When I came here, coach told me I could help him win games and get him to the next step." Ramon Galloway totaled 21 points, four rebounds and four assists for the Explorers (22-9), who waited 21 years for another crack at the NCAA Tournament and didn't disappoint thanks to a 63.3 percent effort from the floor. Sam Mills drained five 3-pointers en route to 15 points and Jerrell Wright added 13 with six rebounds. The first of three Philadelphia-based programs to take the floor became the first to advance, winning their first tourney game since 1990 and earning a shot at fourth-seeded Kansas State in the West Region on Friday. "Unbelievable tradition here," head coach Dr. John Giannini said. "I think people have tended to have forgotten what a basketball power La Salle was for over four decades. So it's a big deal. It's a big deal to re-establish that. It's a big deal for people who attended La Salle and love La Salle, who had great basketball, and certainly they've longed for that." Anthony Drmic's game-high 28 points -- including five shots from beyond the arc -- wasn't enough for the Broncos (21-11). Derrick Marks had 14 points, seven boards and five assists, while Ryan Watkins contributed 10 points in defeat. Garland and Mills connected on back-to-back treys to give the Explorers a 68-56 margin with 7:15 to play, and a runner from Galloway pushed the edge to 72-58 less than two minutes later. Mikey Thompson hit two free throws and Kenny Buckner added one more to pull the Broncos to 74-66 with 2:36 remaining, and after Wright bricked a pair from the line, a Barnes bucket made it a six-point spread with 1:51 left. Tyreek Duren then missed a layup, and Buckner missed the front end of a 1- and-1 after being fouled when pulling down the rebound. Garland hit both of his attempts for a 76-68 game, and a tip from Marks after a pair of missed three-pointers by Drmic made it a six-point spread once more. But Galloway made his last shot and Duren sank a pair from the charity stripe to seal it. La Salle led 10-6 in the early stages, and the Explorers stretched their advantage to 25-12 thanks to a 12-1 run, ending on a Galloway trey -- the last of his five points in the surge -- with 9:12 on the clock. Boise State reeled off five straight points, but two baskets from Garland and a slam off the break by Galloway provided a 31-17 lead with under 5 1/2 minutes before intermission. It's a blessing. I mean, I never thought that we'd be in the NCAA Tournament playing and making a statement for La Salle, but here we are,and I'm happy as can be because I've never been here," Galloway admitted. "It's my last year. So it's every college player's dream." The Broncos pulled within 35-27 at the break on a Drmic three-point play. Galloway's shot from long distance opened up a 44-34 edge for La Salle early in the second half, and when Garland and Mills were true from beyond the arc on consecutive possessions, it was a 52-38 game. Boise State managed to answer triple for triple in the next several minutes, but was unable to reduce its deficit to any meaningful number. Notes: La Salle dropped a 78-76 decision to Seton Hall on March 19, 1992 in first- round action of the East Region, and last tasted victory in the NCAAs on March 15, 1990 in a 79-63 triumph over Southern Miss in the East Region ... Boise State shot 49.1 percent, but only 7-of-18 from beyond the arc, while the Explorers connected on 11-of-21 tries from long distance ... Duren posted just four points and five assists with two steals ... Buckner finished with six points and seven rebounds ... The Broncos fell to 0-6 all-time in the premier March tournament. 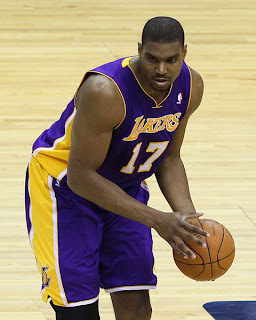 PHILADELPHIA - The Sixers have confirmed center Andrew Bynum underwent bilateral arthroscopic surgery on March 19. The procedure was performed by Dr. David Altchek with the Hospital for Special Surgery. Bynum is scheduled to begin physical therapy on Friday but will remain non-weight bearing for approximately three weeks. Hes then will spend an additional three weeks on crutches, at the recommendation of Dr. Altchek. It must have been opposite day within the Flyers organization on Wednesday, since a gaggle of quotes compiled by NHL.com writer Dan Rosen ran contrary to what is expected, suspected and surmised throughout the Delaware Valley by fan and reporter alike. After a 4-2 loss to Tampa Bay on Monday, plus wins by the Devils and Winnipeg last night, the Flyers find themselves tied for 12th place in the Eastern Conference with the Bolts -- five points out of the last playoff spot which actually now constitutes a four-way tie between sixth and ninth place as Carolina, Toronto, the Rangers and Devils all have 32 points. On Day Two of five straight days with no game action, the ideas swirling around in Paul Holmgren's head may be better left unsaid and best kept secret except to those in the inner sanctum. Rosen asked all the big ticket questions and got some of what those of us familiar with the modus operandi of the franchise recognize as standard answers. Holmgren said Danny Briere has not been asked to waive his no-trade clause and the Flyers' GM said he hasn't spoken to other teams about him. Holmgren was sanguine about the Flyers' playoff chances: "You've got to jump over a lot of teams. I'm not saying it's insurmountable but it's a difficult task." Holmgren was asked if he would look to add this season to bolster his lineup for a playoff push. His answer, "Probably not." The classic non-answer answer: "If there is something there that will help us now and in the future I'd probably do that, but I'm not looking for anything." Hate to break it to you, Mr. Rosen and fans who may not have much of a memory, but nothing there, on its face is "interesting," unless you head straight to the idea that what is expressed is 180 degrees away from what is planned. It's the same story virtually every season since Holmgren took the reins, and for most years before that in the time of Bob Clarke. With five games from this Sunday until the April 3 trade deadline, the windmills of Homer's mind are working faster than turbines at the Hoover Dam. The internal pressure to keep the Flyers "winners" in the strict sense of a team finishing with enough points to make the playoffs is reaching several atmospheres during this respite. The work is not done, and won't be done, even if there are no trades which will benefit whatever plan Holmgren has going forward. ATLANTIC CITY - The sport of Mixed Martial Arts has exploded over the last decade, so much so that the industry's leader, the Ultimate Fighting Championship, doesn't have enough work for its growing stable of fighters. The pay-per-view juggernaut opened some eyes last month by releasing former world champion Jon Fitch, a top star for years in both the middleweight and welterweight divisions. Fitch, though, had gone 1-2-1 in his last four bouts and his grinding style didn't always translate to the box office in an entertainment-based business. Fitch and 15 others fighters were cut loose by the UFC and a new doctrine was established -- win (or at least sell tickets), otherwise, you're gone. Enter the World Series of Fighting, which has joined Bellator as an alternative for top-level fighters like Fitch, who quickly signed a deal with the fledgling promotion after UFC jettisoned him. Although WSOF has only promoted one card thus far, it's already on the map thanks in large part to Jeff Cokin, a veteran television rights negotiator and former NBC executive who brought the promotion together with the new NBC Sports Network. The first event, a Nov. 3, 2012 card from the Planet Hollywood Resort in Las Vegas, headlined by former UFC heavyweight champion Andrei Arlovski and Devin Cole, was both an artistic success as well as a solid ratings producer for the re-branded network. So much so that Cokin was able to get the second card, which takes place on Saturday at Atlantic City's Revel Resort, on NBCSN as well as well as Univision Deportes. "The first one was a time buy," Cokin said in a telephone interview earlier this week. "NBC was so impressed with everything, from the card to the production, they signed on for three more years." Saturday's broadcast will also mark the first time a live MMA event will air on Univision Deportes, an offspring of the powerful Univision Network. 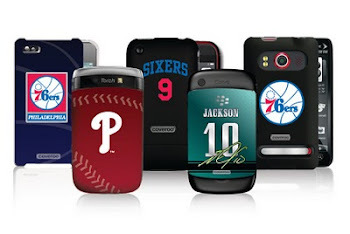 "Networks are looking for more of the product (MMA)," Cokin said. "The day I closed the NBC deal, another network was calling me and asking about getting involved." In today's world of on-demand viewing, Cokin believes professional sports is the one commodity that has proven its immunity from falling ratings and the fast-forward mentality of DVD viewers, something very important to potential advertisers. has dedicated his life to. "It was very important to our league and the sport as a whole to be able to come out on national television on NBC and do so well, " Sefo said. To do well again the main event must deliver in Atlantic City. Arlovski, who has gone unbeaten in his last five fights including a first round smashing of Cole in the main event of the inaugural WSOF show, is back to headline Saturday's event against another former UFC fighter, Anthony "Rumble" Johnson. "I just know he's tough and he'll give me a test for three rounds," Arlovski said when discussing Johnson. "He doesn't need to cut any weight and he just focused on hard work at the gym. We'll see. He wants to beat me and I want to beat him even more. We all have one goal. We're gonna see who's gonna be the better man this fight." The undersized Johnson was once a standout in the UFC's welterweight division but was plagued by weight issues and was released after a shaky move up to middleweight. In his 205-pound debut in WSOF, he upended D.J. Linderman and quickly called out Arlovski, something right out of the Chael Sonnen book of fight-building and a shrewd mood by Johnson. "Everything is still there," Johnson said when asked about the move up to heavyweight. "The speed and power is still there. I'm still an athlete. I don't feel like I'm sacrificing anything. Andrei is a bit bigger than me and heavier than me. That's it." Perhaps understanding the UFC would be able to cherry-pick any fighter who stands out, building the brand is Sefo's top priority. "Our goal is to put on exciting fights, make sure we challenge ourselves," Sefo said. "We're not here to challenge UFC. We're here to challenge ourselves and make sure the next show is as good as the last one if not better. Our goal is to keep putting on exciting fights for the fans and fights that make sense for our guys as well. "We want to crown a champion by the fourth event. Everyone should look at being a champion as the ultimate in any sport at any level." In the world of television, a network deal is like the championship belt. 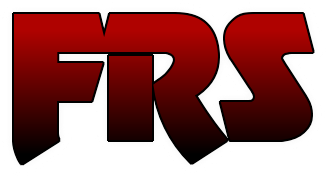 UFC has FOX and STRIKEFORCE used to be on CBS. "There are a lot of avenues to build upon," Cokin said. 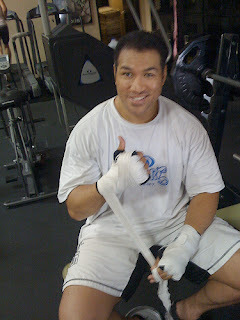 "Pay-per-view is one but getting on NBC is another and who knows, maybe (the WSOF) will do so well, they will want it." PHILADELPHIA - Philadelphia-based Banner Promotions has announced the signing of 2012 Olympic Bronze Medal winner Taras Shelestyuk to a promotional contract. Shelestyuk of Sumy, Ukraine will compete as a junior middleweight and won his bronze medal in London. He also captured the 2011 world amateur championship in the 152 pound weight division. In addition Shelestyuk won the the Bronze medal in the 2010 European championship and is also a three-time Ukrainian champion. The 27 year-old stands 5-foot-10 and had an impressive amateur record of 195-15. Abdusalamov defends title in A.C.